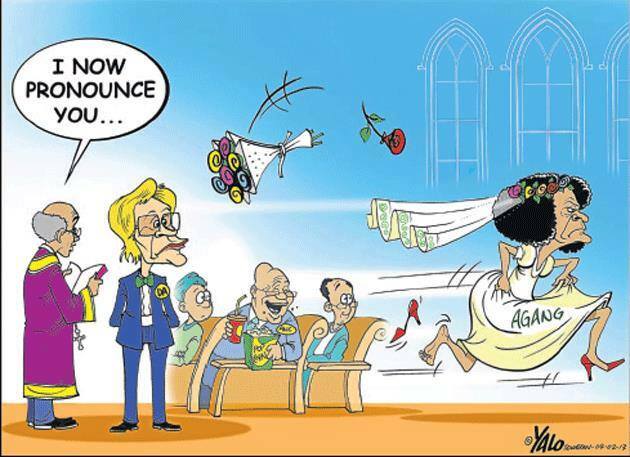 THERE has been quite a bit of commentary online about the kiss which went too far, namely the failed merger between Agang and the DA. With Cape Times columnist Max du Preez uncharacteristically calling it the “kiss of death” — the criticism, mostly from men, of the moment when it looked as if South Africa’s opposition was about to be lead by a women’s coalition comprising Helen Zille, Mamphela Ramphele, Lindwe Mazibuko and Patricia de Lille — has been rather irksome. South Africa’s own iron lady, Helen Zille has thus reduced the Agang proposal for a merger, to an inappropriate request to decrease the gap between the rich and the poor. Yes, the entire party funding circus, in which the DA shifted blame for its own ineptitude on Agang, only to be caught by a rejoinder from the ANC, is really a bit like kissing a bride, and then making out with the best man, who happens to be the Austrian economist Friedrich Hayek. Hayek who has some interesting ideas about what motivates the market, may have gotten some elements of economic theory right, but he sure as hell never understood the ‘animal spirits’ and love affairs of John Maynard Keynes. It may well be that funders pressed the two parties into a premature election arrangement, and it might also be the case that such funding would be more efficient for two pro-market parties — if they both shared resources — but this leaves out an important difference and point of departure while deflecting attention from the issue of foreign donors. Agang, unlike the DA, favours an inclusive citizenship, in other words, a social welfare state backed up by a market economy. Agang thus would have brought an important addition to the DA rhetoric of service delivery. The DA under Zille’s leadership however, wanted nothing to do with such “socialistic” tendencies, choosing instead to back unbridled capitalism and unhindered market forces. The party thus jettisoned any hope of the necessary corrective that Mamphela Ramphele’s social welfare “builders democracy” would bring, while reducing the Zille-Ramphela kiss to a kneejerk kick in the crotch. All really a childhood misdemeanor with serious consequences for the electorate? The DA has increasingly seen itself at odds with the centrist-left ANC over issues such as National Health Insurance. Most recently the problem of Patient and Patent Rights with regard to generic medication has raised eyebrows. At one point, back in noughties, (what ever do we call the past decade?) the DA actually supported a liberal proposal for a Basic Income Grant. With progressives at its centre, the party was even hammering the ANC and its red faction on its slow roll-out of ARVs, but these progressive policies now appear to have been abandoned, or at least they are now firmly on the back-burner, as conservatives within the party appear to have gained the upper hand to the detriment of social welfare. If another centre-left opposition coalition attempt fails, the DA may yet enter the evangelical Christian right-wing collective. In order to do so, it would have to first abandon woman’s rights such as Choice in Termination of Pregnancy and other traditional progressive policies such as the teaching of Evolution in Schools. A WEEK in South African politics is like a lifetime in the developing world. What started out as the “game-changing” realignment of South Africa’s major opposition party, the Democratic Alliance, soon descended into acrimony and mudslinging with party leader Helen Zille fielding questions about the withdrawal of funding. What had initially appeared to be a shot-gun wedding, a quickie marriage, soon turned into a divorce. What had possessed Zille to go back on her announcement the previous week, that Mamphela Ramphele would not only be South Africa’s first, ever black female Presidential candidate, but rather the DA’s presidential candidate of choice? 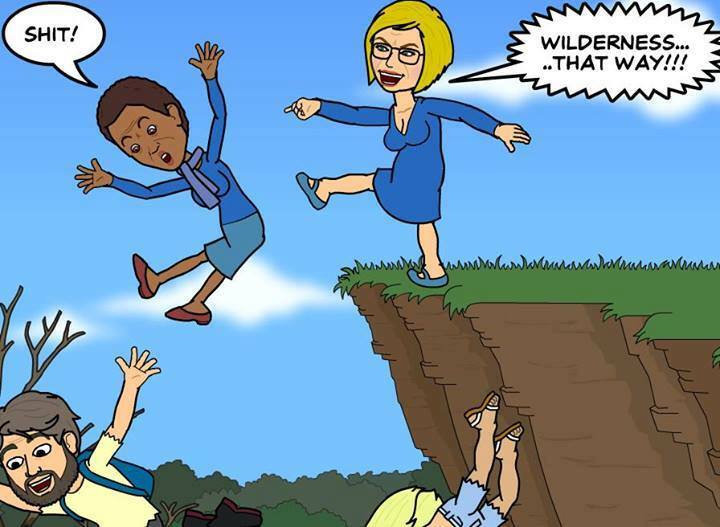 It appears that several factors related to the pact between the two parties, namely Agang and the DA, played a role in Zille retracting her decision and issuing an ultimatum that, now seems absurd in the runup to a general election. The issue of the inclusion or merger of Agang into a unified political platform in which the DA was to be the major stakeholder and anchor tenant appears to have been the deal-breaker which ended up sinking the ship. Instead of drawing in Agang and Ramphele’s unique brand of politics which includes an enormous amount of work done on policies affecting education, labour, health, development and the public service — in effect Ramphele’s outlook on the South African economy — the visionary dream thing, of citizenship, welfare and service delivery — “building the country, for the builders, by the builders” — the DA instead decided to play hardball. “Agang must collapse its structures” demanded Zille. DA analysts pointed to the party’s supposed “lack of traction”, “funding crisis” and “non-existent’ presence in Parliament. ANC aligned critics were in the meantime, maligning the arrangement and proposed merger as an example of “rent-a-black”. Was the DA simply “cherry-picking” or “parachuting” in a black face to cover-up for its lack of black representatives in Parliament? Agang may not have a well-oiled political machine, but it most certainly has members, many of whom would never vote for the DA. Zille could have stepped forward with a 12 step plan to take both the DA and Agang forward. Instead she lost traction within her own party, squaring up to a revolt in the ranks, as Ramphele moved to quell dissent within Agang with her pleas for a unified opposition. Leadership is not about getting into the nitty gritty of contract, it is all about understanding the broader picture, in which collective decision-making, consensus-building, and being ‘first amongst equals’ matters more than personal issues. The prospect of playing second-fiddle to a powerful business-woman like Ramphele must have given Zille nightmares at night. Three women, all of different complexion is a neat “triumvirate” but four women? That’s an uncomfortable crowd that cancels out the secret feminine “locus of power”. Did Zille go too far in playing the Ramphele card? Should she have at least have tried to include a few men in the picture? The debacle has most certainly allowed both Maimane and Mazibuko to come to the fore. As the saying goes, no press is bad press. The huge amount of exposure for both Agang and the DA served to take the wind out of the sails of the ANC and its political cohorts for at least a week, more importantly, it presented South Africa with a brilliant alternative. For a brief while, citizens across the nation dreamed of a future in which a black woman could become president. Whether or not this dream will ever be realised is up to the politicians involved. January 28 2014 at 10:18 am: DA announced that Mamphela Alleta Ramphele will be South Africa’s first black female presidential nomination. They announce the setting up of a joint technical committee to manage the merger of the two parties. January 29 2014 at 01:31 pm: Agang party members call for Ramphele to return to Agang or resign at a press briefing at the party’s headquarters in Braamfontein. January 30 2014: South African Democratic Teachers Union (SADTU) attacks both Zille and Mamphele, saying both “are birds of the same feather which flock together. They share the same political, economic and above all, education views” which the union nevertheless objects to as “unprincipled”. February 2 2014 09:09 am: DA issues its own ultimatum to Mamphele, she must join the DA and relinquish membership of Agang, or resign from the party’s presidential nomination. February 2 2014 16:00 pm: Mamphele announces that she is not a member of the DA and has no intention of joining the party. ULTIMATUMS usually end badly, especially in politics The Democratic Alliance’s pushing and shoving of presidential candidate Mamphela Ramphele this week, which saw the alliance forcing South Africa’s first black female presidential nomination to walk the plank on Monday, does not bode well for South Africa’s opposition. Instead of a win-win situation, we are left with a lose-lose predicament in which both parties are taking flack from critics. The “game-changing” moment which promised a realignment of the political landscape has instead turned into a stark example of Bolwerism. Boulwarism is a negotiation tactic named after General Electric’s former vice president Lemuel Boulware, who pioneered the strategy. In negotiations with labour unions, it is an offer which is ultimate and to which no further revisions will be made. When Helen Zille “fired” her party’s only Presidential nomination, after a technical committee had spent barely hours attempting to thrash out a deal on Sunday which could have resulted in a win-win, political, face-saving solution, she was also firing her party’ hope for a future in which a black president drawn from the opposition has a chance of victory in the 2014 general election. There are also bound to be consequences for labour to ending a professional relationship with a woman who has been highly critical of the use of cheap black labour to fund industrial capital in South Africa. Most recently Ramphele critiqued the mining industry, saying it was still stuck in the 19th century. Although Ramphele was once a non-executive director at Anglo American, in the light of Marikana, she requested to step down from the board with effect from 25 July 2012 in order to concentrate her efforts on her educational and societal interests. Embarking on a campaign in South Africa’s rural heartland, Mamphele has been tackling the migrant labour system underpinning the nation’s economy. Voters are left wondering if Zille forgot that it is an election year. Instead her “take it or leave it” ultimatum– a demand whose fulfillment is requested in a specified period of time and which is backed up by a threat to be followed through in case of noncompliance — is bound to result in more questions than answers, raising doubts about the integrity of her leadership. A combined electoral college of the country’s opposition parties, in which each party canvassed votes to elect a Presidential candidate, who would first sit in the House of Assembly before rising to the National Executive, under a unified opposition coalition, or super-party, would have easily solved the political impasse and revolt within her own party. Can Dr. Ramphele defend her political moves of recent days? NEWS is emerging of the sweet-heart deal between the DA and Agang which got scuppered over the weekend. According to the Mail & Guardian, DA party leader Helen Zille says Mamphela Ramphele of Agang had agreed in principle that “Agang’s branches and structures” would be folded into the Democratic Alliance to form a broad coalition. She says Mamphele “reneged” on the two parties’ initial agreement, which would have resulted in a combined, super-party with Mamphele as the DA presidential candidate. However statements by political analysts point to problems with the merger time-frame and implementation of such an arrangement, if at all. In particular the problem of Ramphele’s immanent membership of the two political party factions, which would have had to be communicated to each party’s respective national councils and membership accordingly. Until somebody shows us the no-contest clause written into Mamphele’s contract, one may presume that the terms of the agreement were contingent on their being some form of consensus from the national executive of her own party and her also joining the party. (There are also important constitutional issues to consider. Prof Pierre de Vos raises Section 47(3)(c) of the Constitution). In a statement by Agang, Mamphele reiterated that she was not a member of the Democratic Alliance as such, and had no plans on seeking membership. 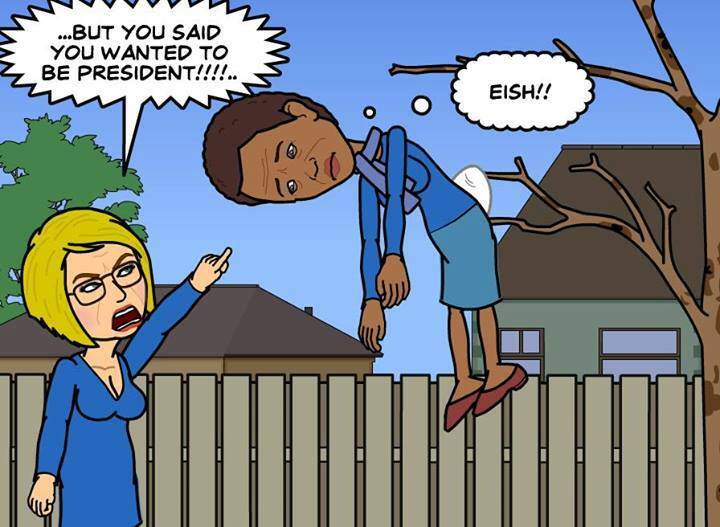 This resulted in an ultimatum from Helen Zille on Sunday, to the effect that if Mamphele did not become a member and “collapse her Agang Party” in the process, she would no longer be considered the DA presidential candidate. Zille however admitted last week that she had not sort approval from her own Federal Executive in coming to this arrangement. It now appears she has attempted to calm the waters on Monday, after releasing earlier statements saying that Mamphele “cannot be trusted,” but continues to claim in a sense “denial of affection”. WHEN the leader of South Africa’s opposition announced that Agang founder, Mamphela Ramphele would be the alliance’s presidential candidate, she had other opposition parties like the Congress of the People (COPE) lining up to form a super-opposition with the potential to seize power come the general election. Instead what followed was a massive loss in political narrative as Zille failed to embrace the game-changing opportunity offered to her by this announcement. The DA had previously managed to swallow minority opposition parties such as Patricia de Lille’s Independent Democratics (ID). 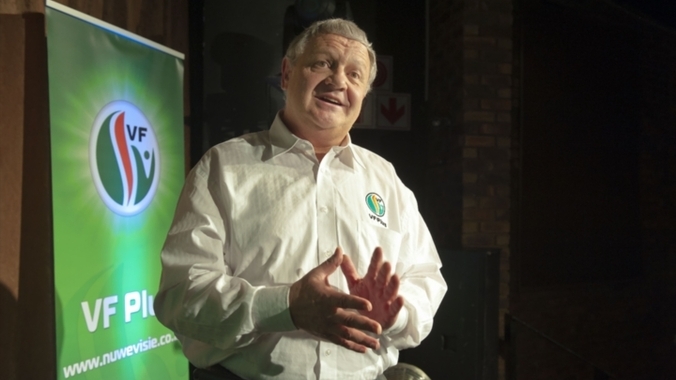 The precedent set by this successful merger with the ID was thus bound to impact on the decision by the federal executive to gun for an all-out merger between the DA and Agang. Unfortunately, what was required was an entirely different strategy. One which could conceivably have produced the kind of balancing act which had created a stable ruling coalition lead by the ANC for the past 20 years. Three problems rapidly became apparent. Firstly there was the issue of Mamphela Ramphele’s own political movement, Agang. Instead of acquiescing to a merger, it had demanded that MAR return to the party to explain her actions. The problem of abandonment expressed in news headlines in the Star was writ large. Mamphele must Return or Resign, as Agang Gauteng threatened to ignore their leader and go it alone in the election. Thus any hope of a no-contest agreement between Agang SA and the DA were immediately scuppered. Not that it made much difference to the outcome, since South Africa has a proportional representation system in which smaller parties and political newcomers have a great advantage. Furthermore, it remained to be seen to what extant Agang represented competition for votes with the DA. MAR has run a campaign in South Africa’s rural heartland and the black townships. Promising hope and renewal of Mandela’s Dream. Secondly, there was the issue of MAR’s immanent membership of the DA. It would appear from the outset that the party sort to cherry-pick Ramphele and prevent the entrance of Agang into the election, thus angering her movement and the emerging coalition partner which would have had to be included in the Federal Executive. Unlike the merger with the ID in which Patricia de Lille had announced that all ID structures were onboard, and with seats already occupied in Parliament, Agang represented an unknown quotient and thus was uncharted territory. A simple proposal to accept duel membership in the interim and an electoral college “working programme” in the long run in which the two parties agreed to nominate each other’s presidential candidate of choice, could thus have easily saved the relationship, as well as fostering coalition building amongst South Africa’s opposition parties. Does it really matter all that much if your party colours are green instead of blue? Is assimilation into the party the only power game? Thirdly, there was the problem of fielding a presidential candidate who was not also a leader of the party. This resulted in immense pressure within the party, producing public dissent within the ranks, the internal bickering over who would be next in line to the throne, for example, why was Lindiwe Mazibuko being overlooked and so it went, resulting in the clash between Zille and Mbali. Although a technical committee was hastily convened to look into the details of the merger with Agang, it sought to accomplish in hours, what should have taken days, if not weeks, thus no consideration or allowance was made to including Agang policy and media. With labour union SADTU attacking MAR and criticism from party funders, an ultimatum was thus issued by the executives within the DA, who in the heat of politics, thought it best to preserve Zille’s leadership role, she thus ended up behaving a lot like Maggie Thatcher, insisting on an immediate solution to the problem with Argentina, with the resulting gunboat diplomacy. This lack of finesse in dealing with South Africa’s Evita Perron, was further exacerbated by the ruckus caused by a largely unsupportive daily press, which had recently been acquired by a Chinese consortium partly owned by the Public Investment Corporation. With the DA suddenly attacked by both the left and the right, it failed to step-forward into a centrist coalition that could conceivably have rose to the occasion and governed the country. 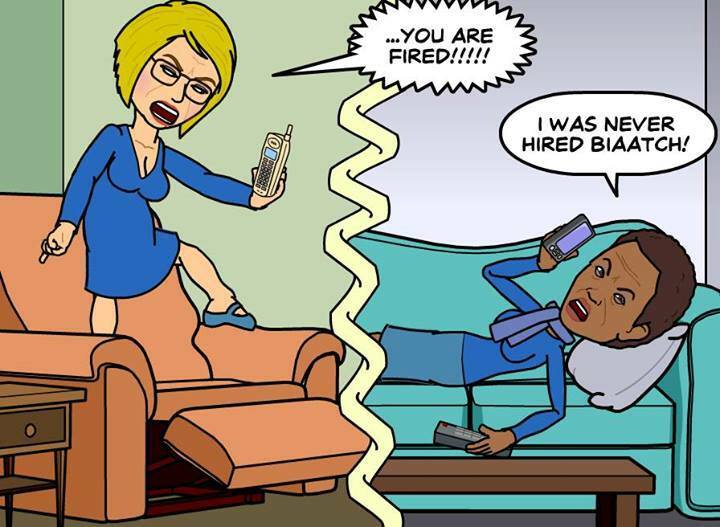 Instead of seizing the day, Zille balked and the result is a rather messy divorce.